When I was 7 years old, I would go into a panic thinking about an upcoming trip to the dentist. I was terrified of needing to have a cavity filled-- the shots; painful, noisy drilling; terrible tasting and textured goops they put in my mouth; and the eternity I had to endure until it was over. Only two things made me slightly calmer about my impending dental doom: doing handstands in the dentist’s elevator (I thought they gave me good luck) and praying to the Tooth Fairy. 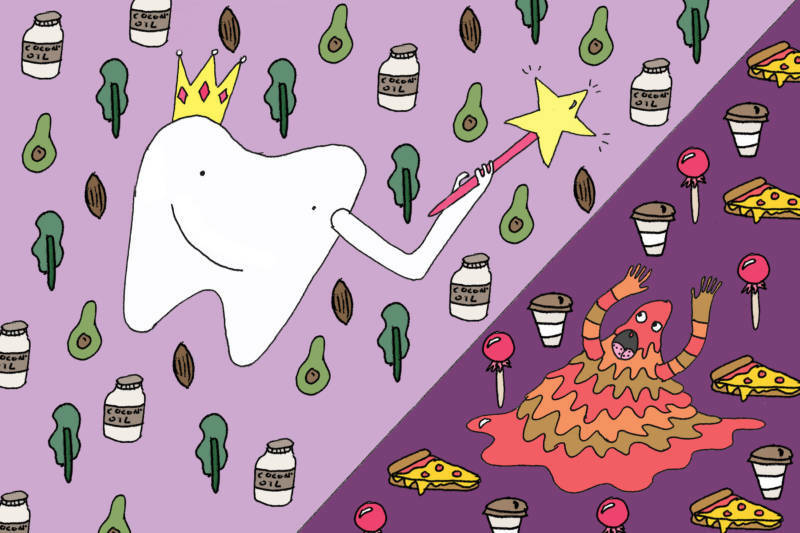 Asking for help and protection from the Tooth Fairy made me feel like I had some control over the fate of my teeth and gave me a sense of peace since I had a magical guide as a support. 17 years later, after developing a few sensitive, aching molars and a recent demoralizing trip to the dentist, I think it’s time to take some of the pressure off the tooth fairy. I decide to take control of my dental health by learning about various self-care practices and how the foods I eat affect my oral hygiene. Last month, I enjoyed a slightly foggy Saturday at the Lake Merritt Farmers Market while nibbling on an abundance of colorful fruit samples. After winding through the rows of vendors and picking up my staples of figs, kale and beets, I found myself in front of Rupam Henry’s Holistic Health and Dental Solutions booth. As I scanned the shelves lined with brown and blue bottles of digestive bitters, tinctures and holistic dental products, I couldn’t help but feel like fate brought me here (or maybe it was the Tooth Fairy). I approached Rupam, who worked as a RDA (registered dental assistant) for 20 years, seated behind her register and asked her what to do about my current dental woes. She answered me with clear explanations that addressed my problems (in the vocabulary of western dentistry) and also offered noninvasive ways I could help my teeth and gums, including dietary tips. After a brief chat, I set up an in-depth interview to find out more. 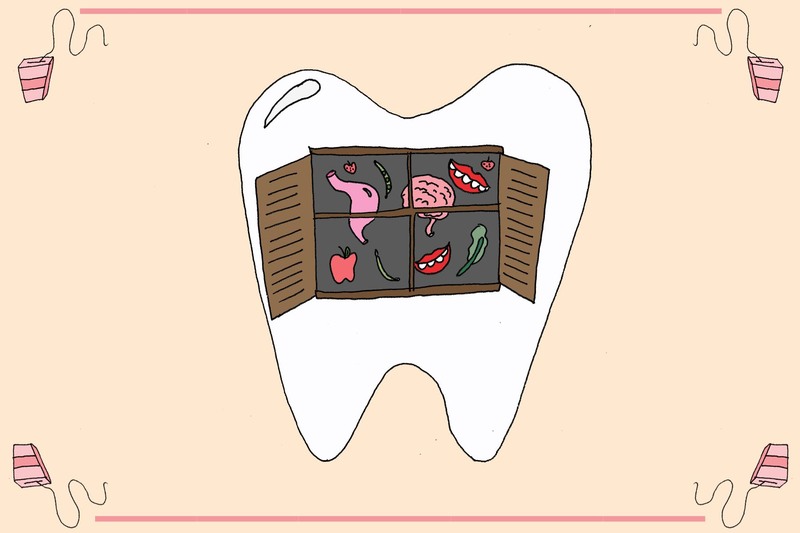 The first time I made the connection between teeth and the well-being of the whole body was when I became acquainted with the work of Weston Price, a dentist who saw teeth as a window into health. His life’s work in the 1930s involved traveling to Africa, Polynesia and Australia, studying the teeth of Native communities who still ate traditional diets. Price discovered that when people ate their ancestral food, their health flourished, and their oral hygiene was remarkable. When missionaries introduced a more western diet, however, the dental health of Native communities declined rapidly. Price attributed this decline in wellness to foods such as: refined sugar, white flour, vegetable oil and canned goods and the loss of fermented grains and seasonal vegetables and bone broth. Rupam Henry, who integrates her wisdom as an herbalist and holistic health educator with her 20+ years as a RDA in general and pediatric dentistry, also supports Price’s work. Besides combining holistic and western approaches in her practice and products, she comes from 13 generations of medicine makers and pharmacists originating in Germany. Are brushing and flossing the keys to caring for your teeth? RH: Brushing and flossing are actually just a small part of oral health. What it really comes down to is nutrition, the health of the immune system and your body’s chemistry (registered in saliva and urine pH levels). Some people who brush and floss five times a day may still have cavities, while others who less frequently brush and floss may not have cavities. Brushing and flossing daily, however, is still important to your oral health. Why is it important for your body to be in a balanced pH state? RH: In a pH-balanced body, bacteria cannot grow because they need an acidic environment to grow and thrive. For most people, this means that they will need to alkalize, which usually translates in eating a less acidic diet. Stress is also acidifying to your entire bodily system, therefore finding ways to relieve stress, such as exercise, meditation, yoga, are important to your bodily function and overall well-being. 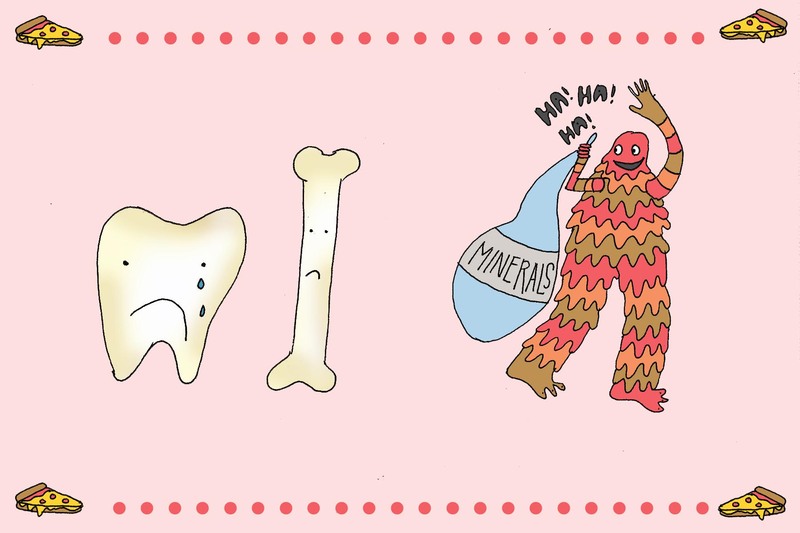 When your body is too acidic over a long period of time, the endocrine system will draw minerals from your bones, including the teeth, to feed your organ systems to keep them functioning correctly. Tooth decay, bone loss, arthritis, osteoporosis, all stem from having too much acidity, or inflammation, in your body. 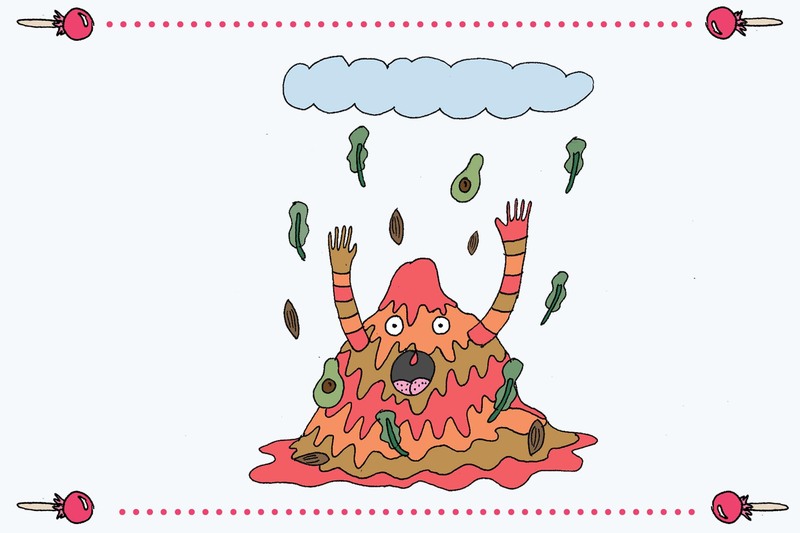 What are some foods that feed acidity in the body? RH: White sugar, white flour, caffeine, and processed foods are some of the most acidifying foods that are part of the American diet. Too much red meat, pasteurized dairy, grains (especially non-soaked), and anything deep-fried are also acidifying. It’s not only food that can create this imbalance in our bodies, but our environment and stress are also factors when our “fight or flight” response is activated. How can we create less acidity in our body? RH: Foodwise, a diet that is rich in vegetables, both steamed and raw, salads, plus raw soaked nuts and healthy fats is alkalizing. Keeping processed foods to a minimum and limiting the amount of caffeine that you drink will also help balance your body's pH. If you must consume caffeine, drinking organic coffee and making it “bullet proof” by adding some quality fat, such as organic grass-fed butter or organic coconut oil (or MCT oil) will help ease the effect on your system. Eating an all organic diet cannot be emphasized enough as it will decrease acidity and increase vitality in your entire system. The environment you are eating in is as important as what you are eating. So sitting down to enjoy your food in a quiet and calm space will nourish you the most. Activating our lymphatic system, which acts as the body’s garbage disposal, through exercise, such as, walking, swimming or jumping on a trampoline, also helps to release toxins. 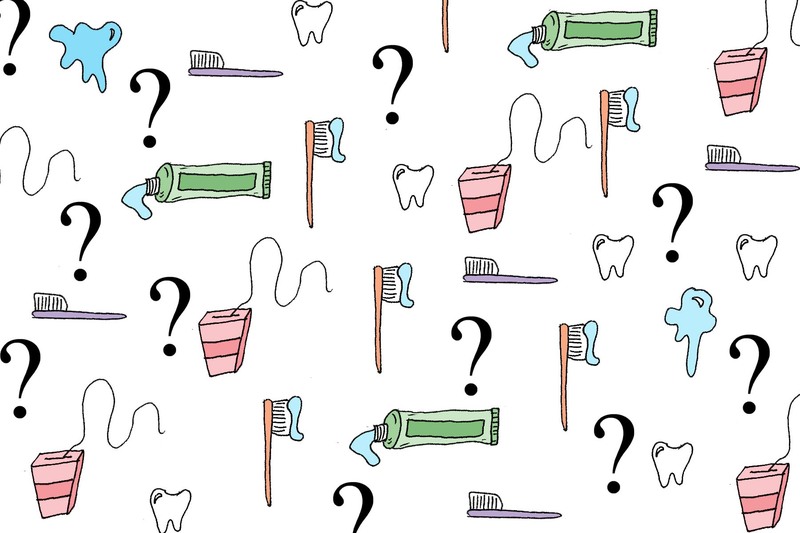 What are practices that can help support our oral health? Using a water pic, or power rinsing with a sip of water, right after you eat, helps your saliva to return to a more alkaline state which reduces mineral loss. Wait at least 40 minutes after you eat to brush your teeth. 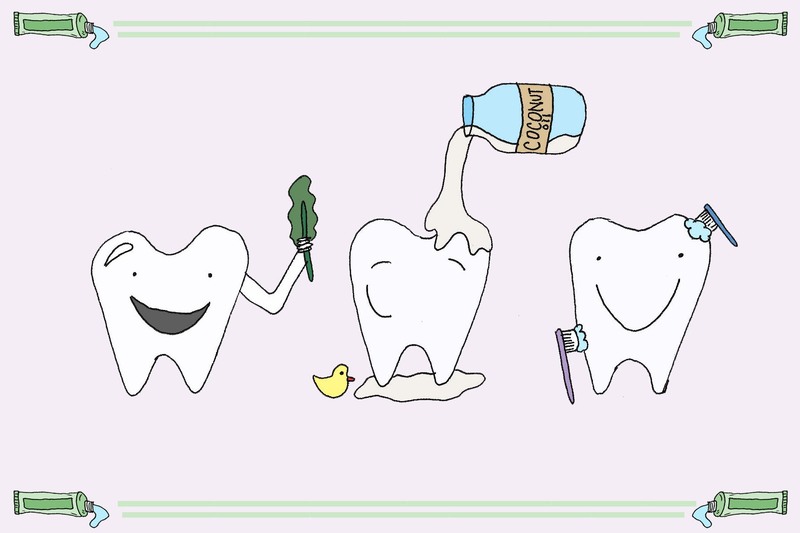 A common misconception is that we need to brush our teeth right after we’ve eaten food. When you put something in your mouth that isn’t water your saliva becomes acidic to help digest the food. Another misconception is that we should be using toothpastes or tooth powders, on our teeth. This is not true as it contributes to gum recession and may even remove dentin from your tooth structure. It is best to brush with a non-commercial product, such as a tooth or dental soap that is rich in minerals and essential oils and is non-abrasive. Abrasives, such as baking soda on a wet Qtip, should be limited to stain removal only. Oil pulling for 15-20 minutes first thing in the morning by swishing 1 teaspoon of sunflower, sesame or coconut oil around in your mouth without swallowing the oil will help to remove harmful bacteria or toxins. Oil pulling originally came from Russia and then became very popular in Ayurveda, traditional Indian medicine. By swishing oil in your mouth you can extract oral bacteria and toxins. Make sure you do it first thing when waking up in the morning before you eat or drink anything other than water and then rinse your mouth out 4 or 5 times with hot water. Buy pH strips to measure your saliva (which should be around 7) and urine (which should be 5.8) to test how acidic your body is. The acidity in your urine will tell you whether you are secreting acidic waste successfully. If your urine is too alkaline, this often indicates that your kidneys are under functioning. 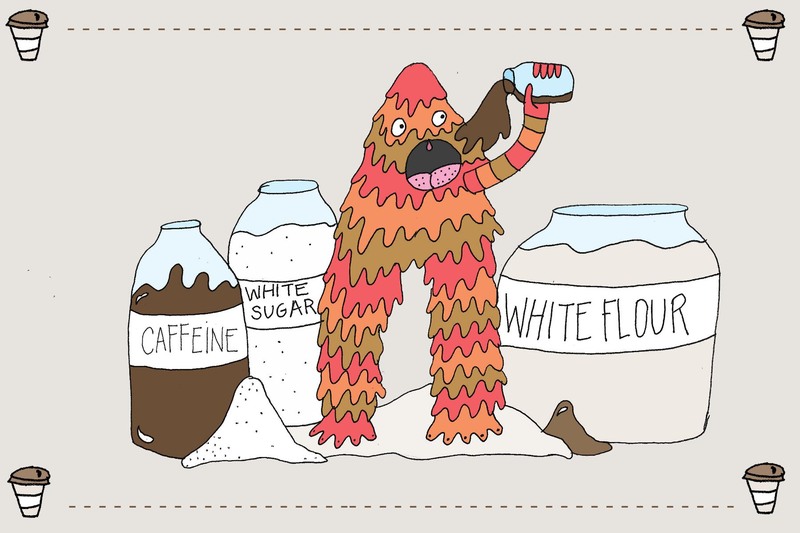 Limit or eliminate white flour, refined sugar and caffeine. My intention is not about creating fear of food, but making a link between the sensation of: “ I don’t feel good” to the source of the problem, which could be an excess of sugar, wheat or caffeine. Eliminating soothing comfort foods, heavy in white flour, sugar, etc. from your diet is definitely a challenging journey, which often requires support of like-minded people. It is ok to eat “goodies” occasionally but the goal is to eat for optimum health and nutrition. I’ll admit that these weren’t the easiest tips to put into practice. At first, it felt strange to put two tablespoons of oil in my mouth first thing in the morning and swishing for 15 minutes felt like forever. After a few days, however, I actually got into it and loved how clean my mouth felt. Over the last few years, I have gone through several periods of time when I cut out sugar. Although the first few days are the hardest, I end up feeling like an improved, more energetic version of myself -- and my teeth are less sensitive to cold. Touché, tooth fairy!